USA source of 20mm Eastern Front buildings - one for your club purchase? Wow this Russian village looks great! 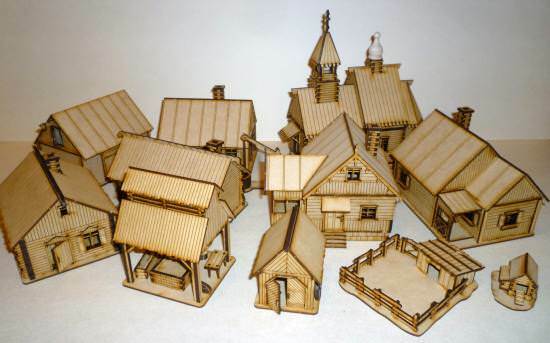 Probably this one set would satisfy all your 20mm buildings needs for Soviet/Axis games? But at $130 a set it may need a club budget to buy it!! Mind they also have loads more to tempt your club budget! !